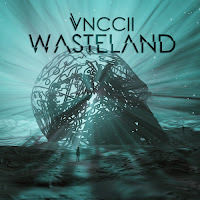 "WASTELAND" - VNCCII Australia's VNCCII attacks with an epic release titled, "WASTELAND," and she arose to corrupt your speakers in the best way. The creaking synths and beautifully horrific bass will make you feel as if you emerged out of a plant's crater and discovered a heartless but treasured wasteland. This sci-fi invigorated track confirms VNCCII is here to challenge and compete as an artist in bass music. Infused with energy, a release like this could be found in an experimental bass set at a festival that lasts until the AM. 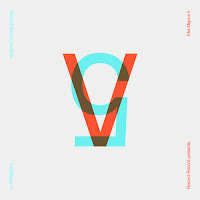 Below share and take a listen to VNCCII's futuristic track "WASTELAND"! Also get a download of the track here! THE FLOWERS IN OUR HEARTSWhat seems like a full year of waiting for the long awaited EP, Seattle's metsä delivers undoubtedly one his best projects yet. 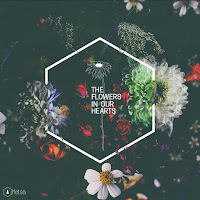 Self-released last week, The Flowers in Our Hearts was heavily inspired by his surroundings and meaningful life experiences. The EP starts with a blooming edit of a Calvin Harris track titled, "Her" as well as including multiple collaborations with vocalists Harper XO and Sophie Kloor. The creamy and vivid synth structure and percussion usage nurture a wispy project that displays metsä's blooming growth in his artistry. Easing out of summer and into the colder months, The Flowers in Our Hearts is the perfect soundtrack to your transitioning seasons. Getting to know more depth behind the EP, below check out our Q&A with the talented creator behind this EP! Enjoy! Also get a download of the EP here! "JAFIAH" - NIMINO Panel's new compilation, Ample, released today shines greatly from exhibiting producer nimino's brand-new track. A record label based in London, Panel shares a radiant release from nimino titled, "Jafiah," that holds fresh and unique character. The blissful drums and echoey vocal samples showcase this London producer's skill in creating simple yet ear catching music. Ample carries an array of artists that reveal each one's distinct sound and nimino is the perfect addition to its tracklist. Premiering here on MELTING OF AGE, below share and listen to nimino's "Jafiah" and be sure to check out the rest of Amplehere! "FADE' - KIDSWASTE FT. HUNTING STORIESFrench producer, Kidswaste, releases a new track titled, "Fade" featuring vocals from Hunting Stories. The indie ballad of "Fade" plows out soft production of guitar and piano that superbly complements the voices of the brother folk band Hunting Stories. Lyrics of honesty and loyalty, the collaboration kindles sounds that could be as if Of Monsters and Men tapped into their inner electronic element. 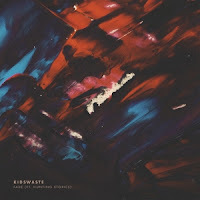 Released by Counter Records, Kidswaste continues to produce music that blooms and soothes any soul. Below share and listen to "Fade" by Kidswaste! "CLUTCH" - SO SUSWritten by: roshux From the smooth yet heavy hitting percussion to the clean and precise vocal chops, So Sus' new song "Clutch" is definitely a future track that brings all the best elements of the genre together. Part of the CrystalsVolume 3 compilation, this track stands out tall and proud with amazing production and sound design put into every second of it. So Sus starts it all off with a lead up sounding almost ethereal, then slams into your ears with a hard bass line and perfect clap to match. It's a wonderful mix of heavy and soothing sounds, which can be very tough to accomplish, but So Sus nails it with this one. Check below to share "Clutch" and the rest of the compilation! GRAPHIC ARTIST: ROBYN SAPICO Moody color palettes and geometric figures, Robyn Sapico, a graphic artist from LA, has a collection of art where objects glow right off of your computer screen. From logo design to gleaming 3D pieces, she prominently puts use in charming pastels and metallic shades, enticing your eyes to every inch of each render. 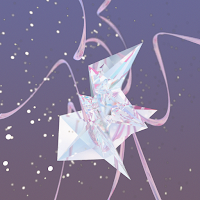 Crystallized elements and delicate florals, Robyn has worked on pieces for artists like Azura, poster design for Sober Rob, and event promoters/management Future Noize! With art that glitters, don't be surprised if you ever spot a Sapico piece for your favorite artist's art direction. It is no doubt that this intriguing producer of visual artwork will strike the eyes of many in the bright future! Below read about Robyn Sapico's inspirations and the background on how she began her journey in graphic art! Enjoy! For more of Robyn Sapico's art check out robynsapico.carbonmade.com! 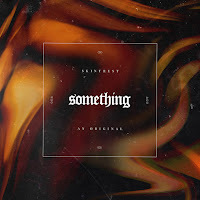 "SOMETHING"UK producer, Skintrest, is out again and this time we are treated to a wicked and mind-bending track drilling his vision on an experimental trap piece. 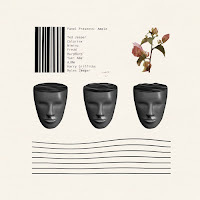 Piano instrumentals creeping in the midst of the track, this new release gives us something unexpectedly rich and fueled with bouldering bass. The smoldering eeriness you hear from Skintrest presents a dark mood of ghoul-y sounds making you wish the month of dead leaves were tomorrow. Below share and listen to Skintrest's "Something"! "HEAVY ROTATION" Full of dub, bass, and grime vocals, Denver's Gangus fires up a heavy release that spins heads and breaks necks. A tasty intro of winding pitches and hi-hats, this dirty dubstep track contains cycling rumbles of synths and, of what sounds like, trumpets jumping and tossing back n forth in one big orchestra of reckless noise. Released earlier this month, this rare gem popped up on the MOA SoundCloud stream surprising my ears with the erratic griminess the 2 and a half minute track holds. Below share and listen to Gangus's "Heavy Rotation"! "PRAYING WAITING" - GRASPS W/ PTWIGGS & WA?STE Oh! Do you want something oddly bewitching? Raging? Daunting? 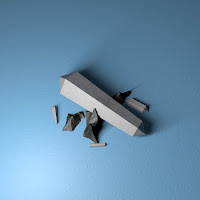 Well, this recent collab by Sydney producer Grasps and ptwiggs with WA?STE titled, "Praying Waiting," strikes with empty, lost souls by exerting dark static production. The haunting outcries, helpless screams, and graveling subs pump out a track that you might find in a neon thriller motion picture. 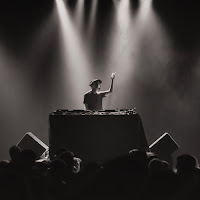 After the recent release of his EP, off of the collective label TAR, we already anticipate for the next upcoming ideas Grasps will bring to life! 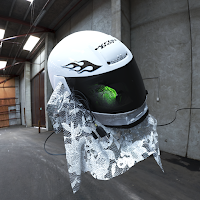 Below share and listen to Grasps's "Praying Waiting" with ptwiggs and WA?STE! "NEON CITY" - BLOOD CODE FT. MOISTBREEZY (SLOW GRAFFITI REMIX)Los Angeles club producer, Slow Graffiti, fires up a new remix that could almost be described as an emotional club track. 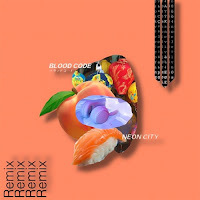 The glowing original of "Neon City" by Seattle's BLOOD CODE, featuring vocals from moistybreezy, is flipped into a piano ballad inspired version that tunnels sounds of marching drums and shady 808s. This minimalistic track is something we don't usually receive from Slow which makes this remix all the more refreshing. Below share and listen to Slow Graffiti's remix of "Neon City"! 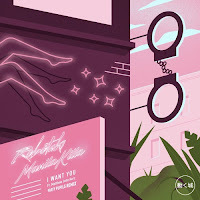 "I WANT YOU" - MANILA KILLA X ROBOTAKI FT. MATTHEW JOHN KURZ (PARTY PUPILS REMIX) Los Angeles duo, Party Pupils, drops a funky new remix of Manila Killa and Robotaki's "I Want You"! A riding wave of rolling synths and techno flare, Party Pupils offers us a different vibe than their usual route on production. With the smooth vocals by Matthew John Kurz, their future funk infused version departs from the original by echoing hints of neon electro moods. This is a remix made for solitary midnight drives and city-gazing ventures escaping reality even if it's just for 3 minutes. Below share and listen to Party Pupils' remix of "I Want You"! "GHOST'S LULLABY" - DZZ & HALPE A peculiar production recently rested in SoundCloud's domain, and it flashes with an unexpected collaboration from two outstanding artists. Released on Record Record's Filet Mignon 5, Virginia producer DZZ and Argentinian producer Halpe deliver an obscure track titled, "Ghost's Lullaby." With playful uses of stretched fizzy synths, heavy spurts of bass, and miscellaneous drum work, the collab extenuates depth and spontaneous production in only a matter of two minutes. The slight use of melodic breathy vocals, the collab finishes in an airy abrupt halt leaving us with a paranormal dedication that directs your focus on what two talented forces can achieve. Below share and listen to DZZ and Halpe's "Ghost Lullaby"! WAVE OF GREY Quietly sitting on the steps of a front porch in the middle of summer's end, the feeling is melancholy for the free time you have had will be now passed up, and the signs of fall daunt in the world's greenery. 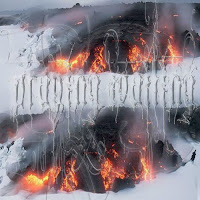 An audible representation of life's on going transformation is Fabrizio's new album titled, Wave of Grey. Up in coming DC producer, Fabrizio, just released a hip-hop, chill wave infused project that is perfect for moments like these. Featuring collaborations with Gnarly, Randy Reyes, Ang, and Kiersten Helmey, Wave of Grey prominently displays the emotions of confidence and self-realization through the tracks' lyrics and lifting dark production. 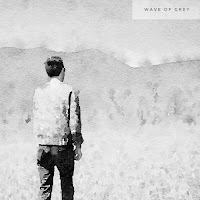 Composed of 7 wonderful tracks, below share and listen to Fabrizio's album Wave of Grey! "PRAYER OF CONFUSION" (FT. MOISTBREEZY) & "SPELLS" - WRISTBOI Seattle producer, wristboi, drops two buzzing tracks via Australian label SIDECHAINS, that sparkle amongst many. A collaboration with vocalist moistbreezy for "Prayer of Confusion," wristboi manipulates and robotically sweetens the vocals against glittery instrumentals and muffling bass. In "Spells", this B side track captures a mysterious flow and encases sounds of rippling echoes combined with striding drums and claps. The simplistic but also eclectic design and style this young artist carries is one to keep an eye on for future stimulating creations! Below share and listen to wristboi's "Prayer of Confusion" and "Spells"!